Floods are the most devastating natural disaster in the United States each year causing billions in losses and displacing thousands. While flooding is a common concern for those near rivers and streams, all homes in the United States can be caught off-guard by floods. When it comes to flood insurance, it is important to understand what flood insurance is and what is covered. 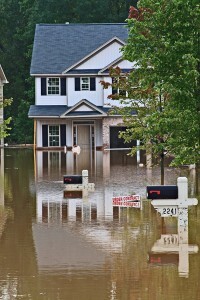 Many people think flood insurance is anything to do with water in their home. This is far from the truth. Floods are defined as surface water that enters your home from the outside – not to be confused with a leaky roof or a broken pipe, loose toilet or other plumbing related issue. Another issue altogether is sewer backup with may or may not be covered depending on what caused it to occur. Flood Insurance: Flood insurance covers your property and contents from damages that occur when water from outside the home enters the home. Beit a heavy rainstorm, a clogged drain in the street or even a hurricane that causes a tidal surge that backs up streams and rivers. Cost: According to floodsmart.gov, the average flood insurance policy costs around $700 a year. Depending on your area and whether you’re in a flood prone area, your costs can be higher or lower. What’s covered: The typical flood insurance policy will cover your building and the contents. Be sure to discuss contents coverage with your agent to ensure you have enough coverage. 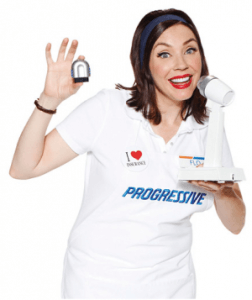 The price of the policy will be largely determined by how valuable your items are and how much coverage you need. When to buy: Flood insurance requires a 30 day waiting period. The best time to buy a flood insurance policy is as soon as you decide you want it. Water & Sewer Backup Coverage: Sewage backup insurance is not included with a standard homeowner’s insurance policy. Sewage backup occurs for many reasons, but ultimately, what is happening is there is a blockage that causes water to reverse course and push up into your sinks, bathtubs or other outlets. This can be a smelly, filthy event and one you want to be sure to discuss with your agent. Believe it or not, this is a somewhat common occurrence. Cost: Cost always varies, but typically a sewer backup endorsement will run you under $100. Be sure to ask your agent about different policy options. What’s covered: You purchase specific amounts of covers, such as $10,000 or $15,000. This helps cover the cost of cleaning the damage caused from the backup as well as replacing carpets, drywall, and even cleaning or replacing ducts. When to buy: Water and sewage backup occurs everywhere. There is no real good indicator or when this event will occur, so protecting early is critical. We understand insurance is confusing, so if you still have questions, feel free to call one of our licensed agents and ask to speak about flood or sewage backup coverage. 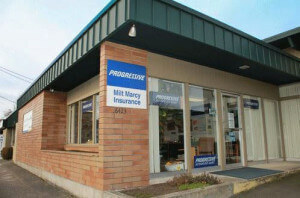 If you have questions about your insurance, call the insurance agents at Milt Marcy Insurance in Portland, OR. They have years of insurance experience and can help you insure everything from your home to your auto or business Insurance. They live where you do and are an independent insurance agent, so they can help you find the right company to fit your needs. You can also check out their website, 24/7.